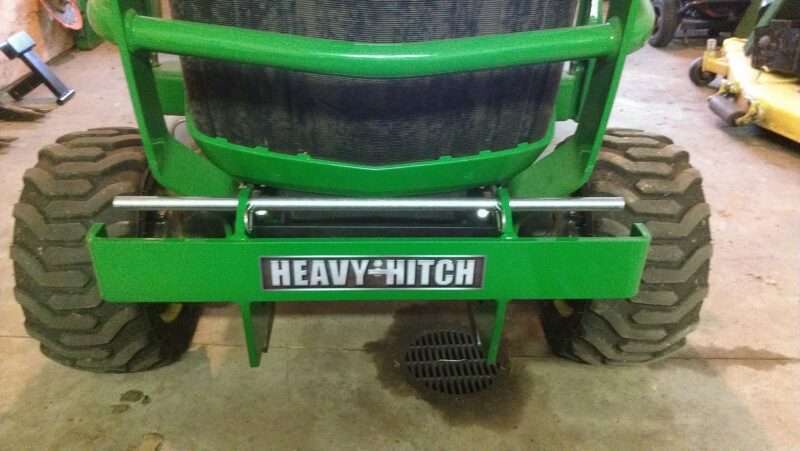 The Heavy Hitch Quick Attach Front Suitcase Weight Bracket gives you the option to add extra ballast at the front end of your tractor without permanent modifications. Simple bolt-on installation using the existing holes. Suitcase weight bracket allows you to add up to eight 42# or 70# suitcase weights. 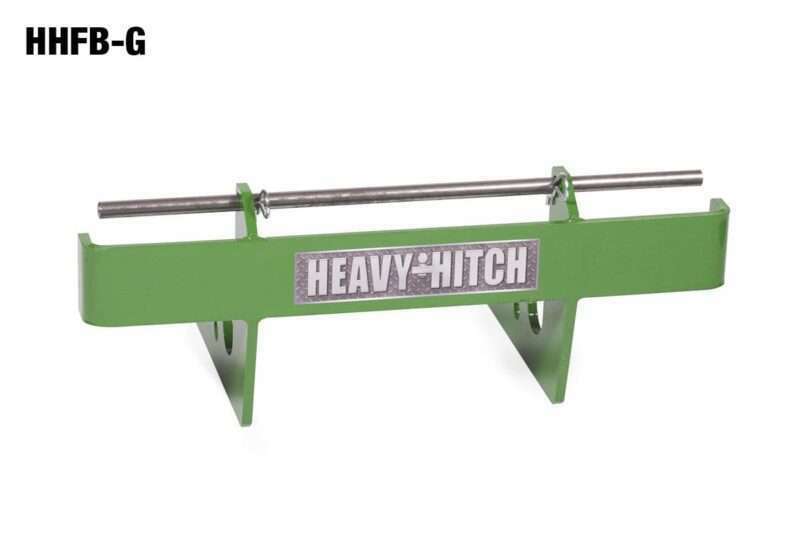 Comes standard with a super durable finish in John Deere Green environmentally friendly powder coat. Compatible with John Deere 1023E, 1025R, 1026R subcompact tractors. 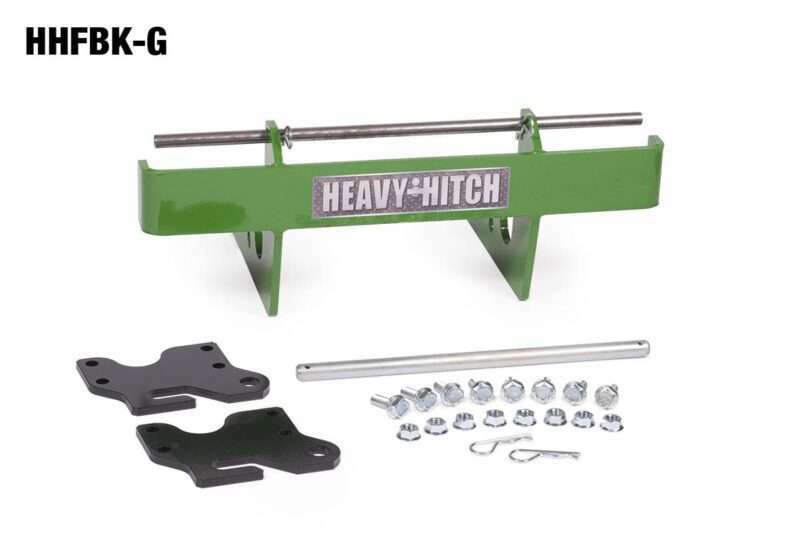 Must have John Deere Front Attaching Support Kit Part# LVB26046 or #BLV10160 installed on sub compact tractor or you should order our complete kit to have the brackets needed to install. 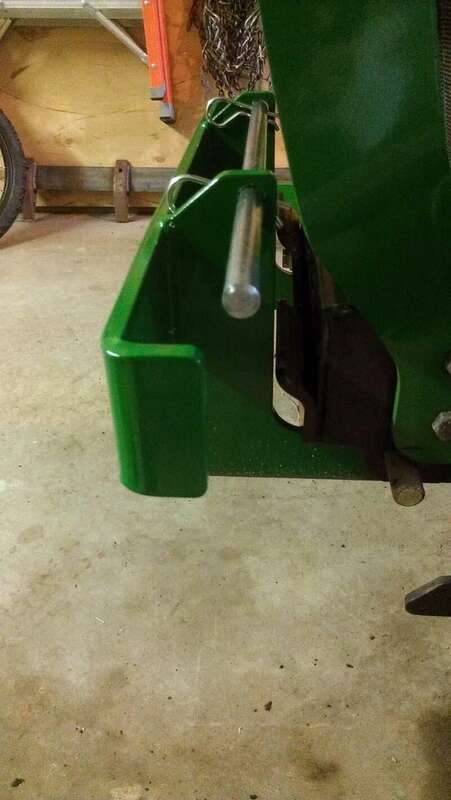 Works in conjunction with the John Deere front quick attach system for quick and easy installation and removal. Provides up to (8) 42# or 70# suitcase weight carrying capacity. This was great! Bolted right on, holds the weights away from the hood. This was what I wanted from John Deere but they thought I was nuts. Told me I didn’t need it. I found this to be cheaper than a good and carries more weight for when I have the boxblade on the back.